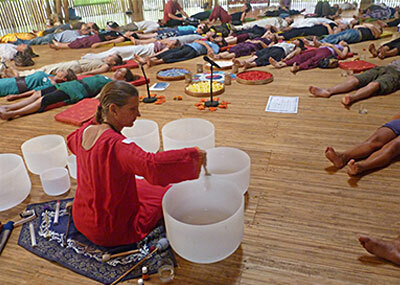 New Non-Residential Retreat. 6 Nights, 7 Days. Sunday, March 24 -31, 2019. Awahoshi will perform at the Festival! 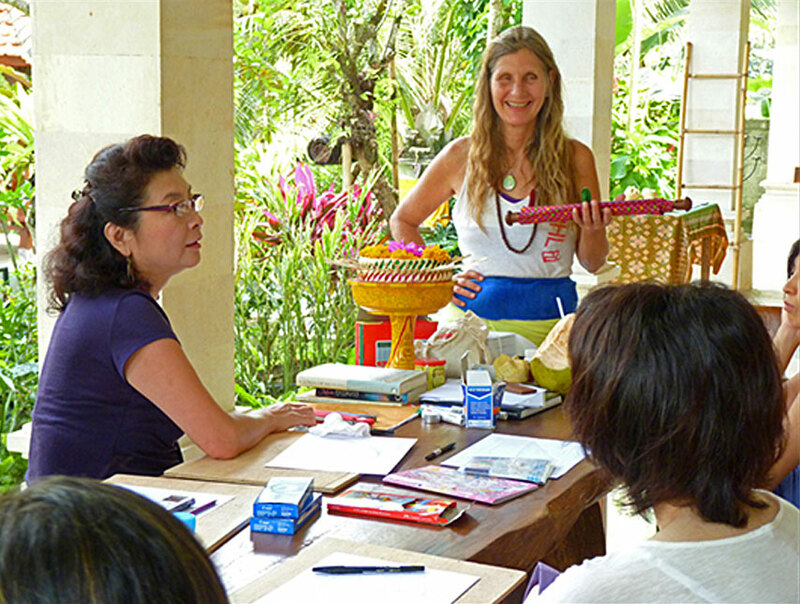 Options to consider, arrive in Bali early and experience Nyepi (a special New Years event) or stay after the Sound Study Program and celebrate by attending the Bali Spirit Festival. 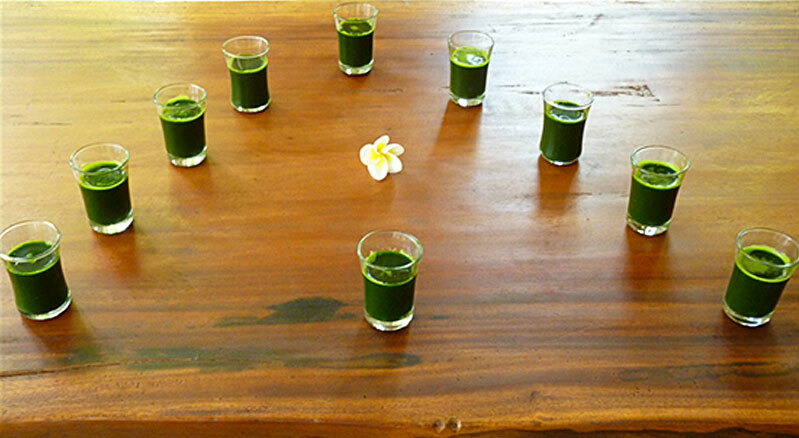 Bali coconuts, wheatgrass & savory vegetable drink. Select days, Lunch or Dinner. Vegan plant based food with Chef Sora. Full Retreat Study / Non Residential $1,850 USD. Your deposit of $500 USD can be made via PayPal. 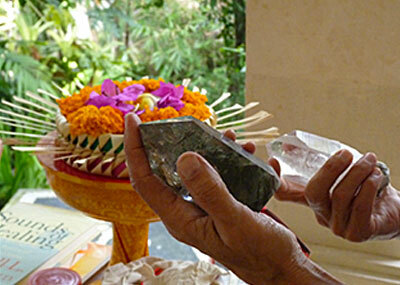 The remaining $1,350 USD can be sent via bank wire transfer or in cash funds. Equivalent Euro is also accepted. Assistance with arranging transportation pick-up at the DPS (Ngurah Rai) Airport in Denpasar, Bali is available. Please let us know your flight arrival plans. Links with suggestions for suitable housing/hotels near AwaHoshi’s studio will be share upon registration. 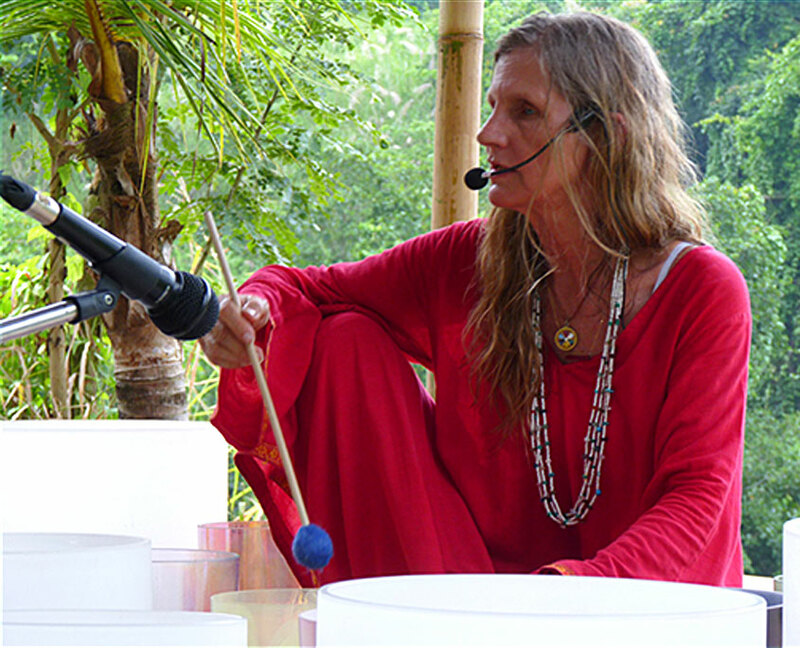 We look forward to connecting with you, please share with anyone you think may be interested in coming to Bali to experience the lifestyle and methods of Crystal Sound designed with real, positive results by one of the earliest women pioneers of this knowledge.